AN ENTREPRENEUR who dreamt of being an astronaut as a child will oversee a rocket launch from North East soil when his company sends scores of tiny satellites into space. 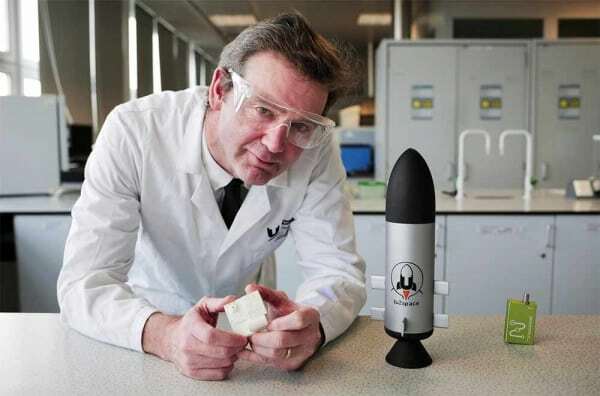 Pioneering work by space engineer Shaun Whitehead is paving the way for scientists to send their experiments into orbit on miniscule femtosatellites, work which could lead to the creation of around 100 skilled jobs in the region. Shaun’s company Scoutek Ltd is working with Teesside University to develop a low-cost rocket – a StratoBooster, which ascends on a meteorological balloon – to launch these femtosatellites which the company has called ThumbSats, in what will be the first civilian space mission to launch in the UK. Shaun has worked closely with the North East Satellite Applications Centre of Excellence, supported by Business Durham, the economic development organisation for County Durham. Saltburn-based Scoutek has earmarked Sedgefield’s technology park NETPark as one of four possible sites from which to launch its first, unfuelled test rocket in March as part of the ‘tu2space’ project. A ThumbSat is no larger than a human thumb – hence its name – yet features a high-definition camera, a variety of lenses that can act as both microscopes and telescopes, and a sophisticated onboard computer. “The rocket needed to put ThumbSat into space is no taller than a piece of A4 paper, and we can launch that on a meteorological balloon,” said Shaun, who designed his first rocket at the age of ten. 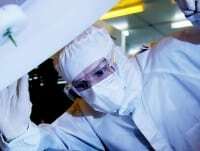 The tiny satellites, which are being manufactured and tested in the US and Mexico and are expected to fly on a Mexican Space Agency mission in the coming months, will allow professional and amateur scientists to send experiments into space. To support its work, Scoutek was recently awarded a place on Business Durham’s space incubation programme, backed by the UK Space Agency. This will be the first civilian space mission to launch from UK soil and Teesside University will have the first student team in the world to put a rocket into space.